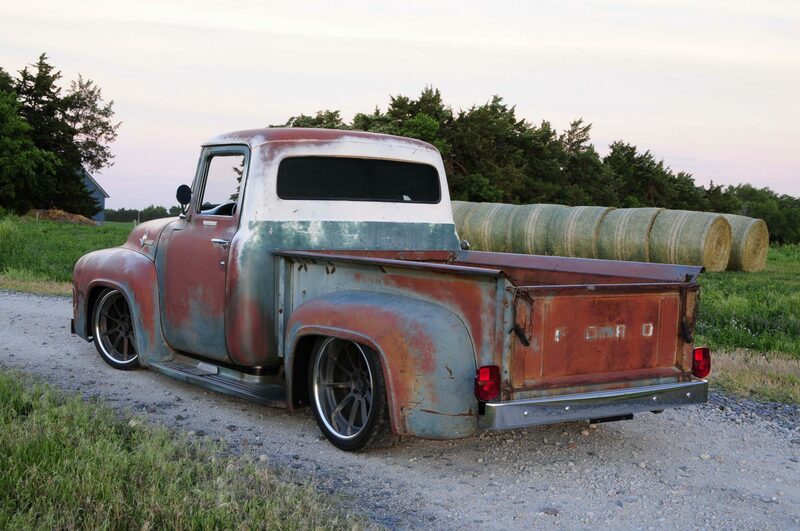 To the untrained eye, this 1956 F-100 might look like a rundown old pickup truck with its “rusted” looking exterior. 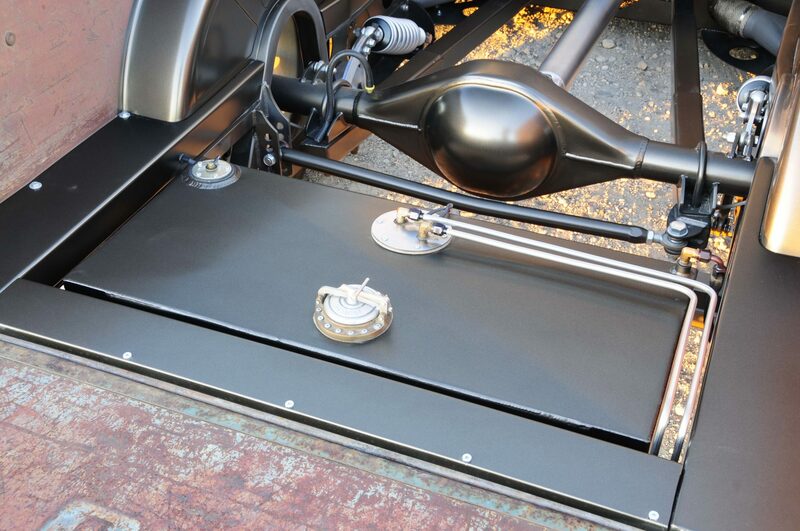 However, most moto enthusiasts will immediately notice a few things that tell a whole other story about this truck. The wheels and tires for example. Nobody in their right mind would put those tires and wheels on a truck that was actually in the condition this one might appear to be. That “rusted” look is actually a near perfect purposeful patina that should never see a paint sprayer, unless it’s filled with clear coat for preservation purposes. While it may resemble an old and busted farm truck from the outside, underneath lurks a performance hungry beast. Whether you want to call it a restomod, or a sleeper, either way, this thing is flat out badass. It belongs to a gentleman by the name of Jon Unick, based out of a small town in Nebraska. If you’ve ever been in that neck of the woods, or even driven through there, you’ll know there isn’t much out there. Two of the most common things to do are farming and cars, trucks actually. Jon has been involved in both for almost his entire life. During the week they would farm and on the weekends it was something to do with trucks and performance. That’s anything from dirt track racing to truck pulls, or even just cruising the main strip to see who had the baddest vehicle out that night. Jon built this truck to be a genuine performance hotrod while putting off the outward appearance of the complete opposite. Before I get to the magic that lies underneath, I wanted to point out a few parts of the back story of how the whole thing came to be in the first place. 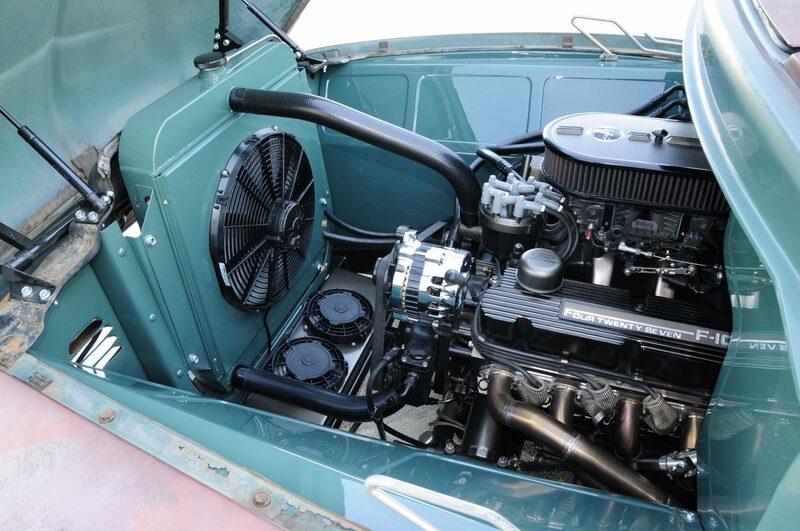 According to a recent article from Hot Rod, Jon had been a huge fan of the Ford trucks from the 1950’s and had always had the desire to build one of his own. His main goal of the build was for it to have a patina finish on the outside but be a full blown resto mod sleeper underneath, including chassis and driveline upgrades. Jon was quoted saying “it’s one thing to slam it to the pavement, it’s another thing to make it handle like it’s on ’rails with a smokin’-hot V-8 underhood.” Jon is obviously our kind of guy. 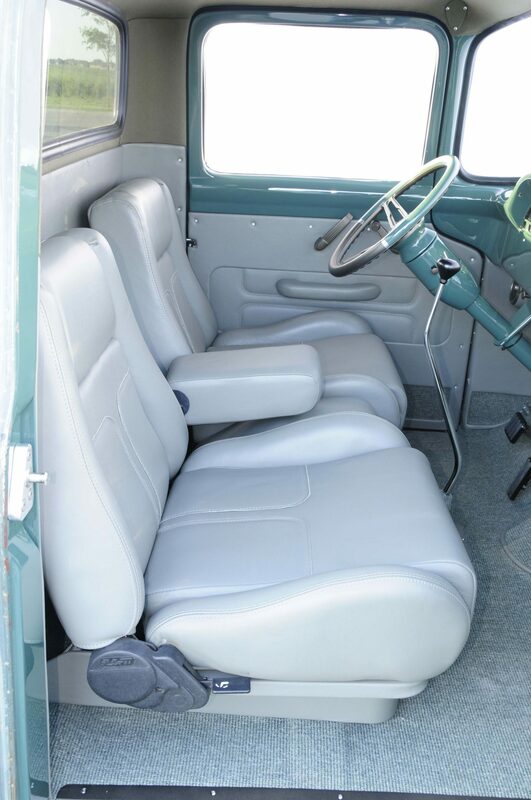 The problem was that finding one of these old trucks that would meet his criteria is not exactly an easy thing to accomplish. Some people spend years trying to find the right starting point for a project. 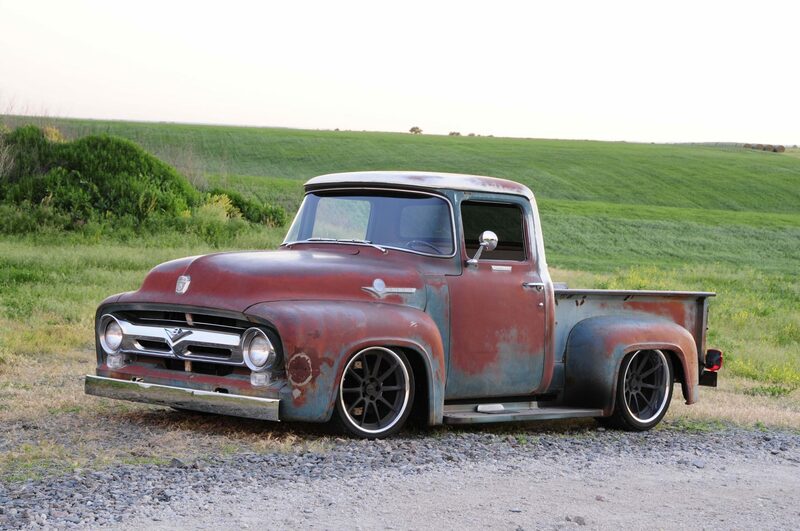 But Jon must’ve had one lucky day because as he was driving along he saw this old 1956 F-100 sitting off to the side of the road. After doing some research he managed to track down the owner only to find out they had no interest in selling, because they as well wanted to build something special with it. It took some time, but he managed to strike up a deal with the owners of the truck with one main stipulation that was non-negotiable. 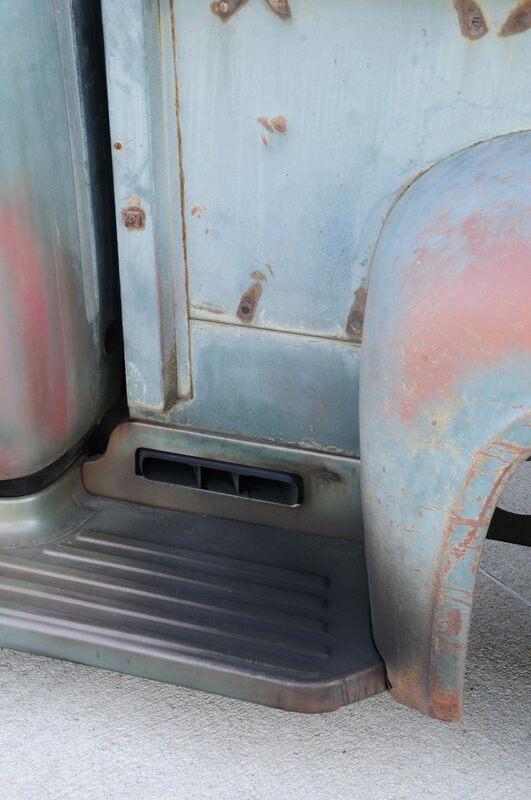 He could buy it and build it, but he had to leave the patina on the truck as it was which is perfect, because that’s exactly what he wanted in the first place. Jon sweetened the deal by throwing in the existing chassis and drivetrain because he had special plans for his own. 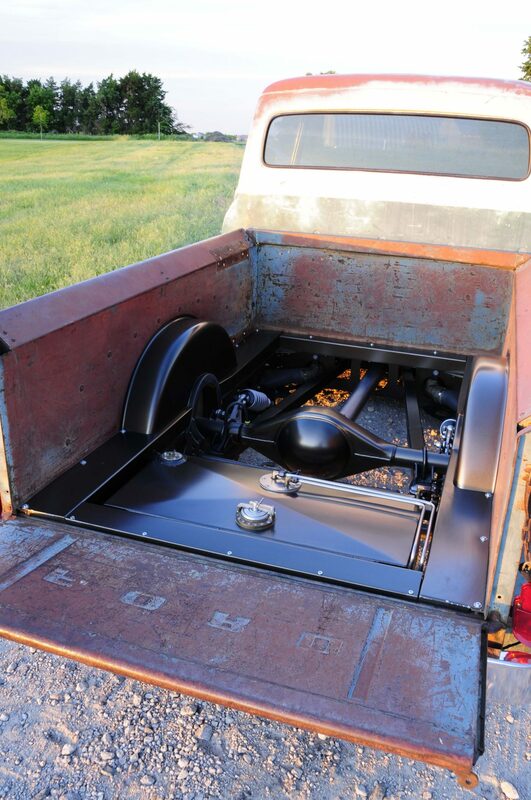 Now on to the good stuff – the stuff that makes it go, stop, and handle corners like it was “on rails.” Jon took the truck to No Limit Engineering for them to work their magic with their custom built Big 10 Chassis. It was designed with custom cross members that virtually eliminate any flexing under power or hard cornering. No Limit was responsible for quite a few other suspension components with help from upgraded RideTech Coilover shocks, as well as quite a few other parts from top quality manufacturers. Providing the power to this magnificent looking machine is none other than a 427ci V8 crate motor from Ford Performance. The claimed specs on it say that it produces about 450hp, but could very easily be tuned to put out a lot more. But Jon also wanted to make sure that his dream truck was as reliable as possible because he plans on driving the wheels off of this thing. There were a few other upgrades that will increase the performance while maintaining that reliability that’s so important. 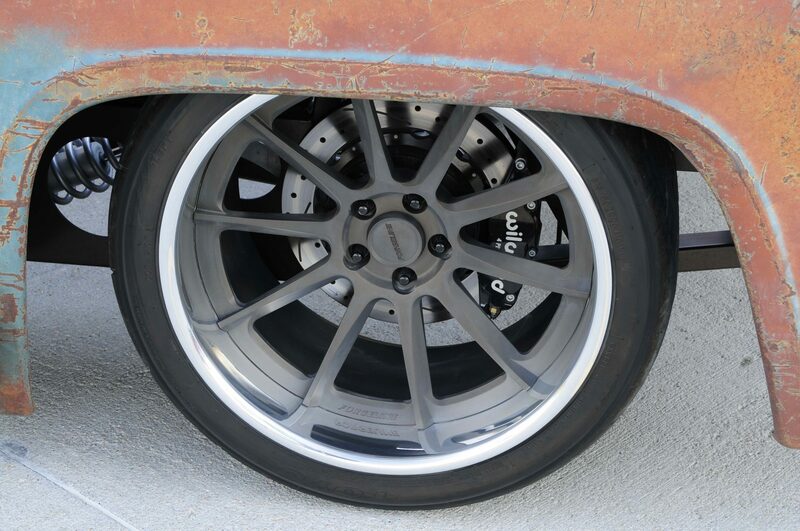 Of course with all that power, Jon needed an equally powerful brake system and he ended up making the decision to go with a Wilwood system with four-piston calipers in back and six up front. 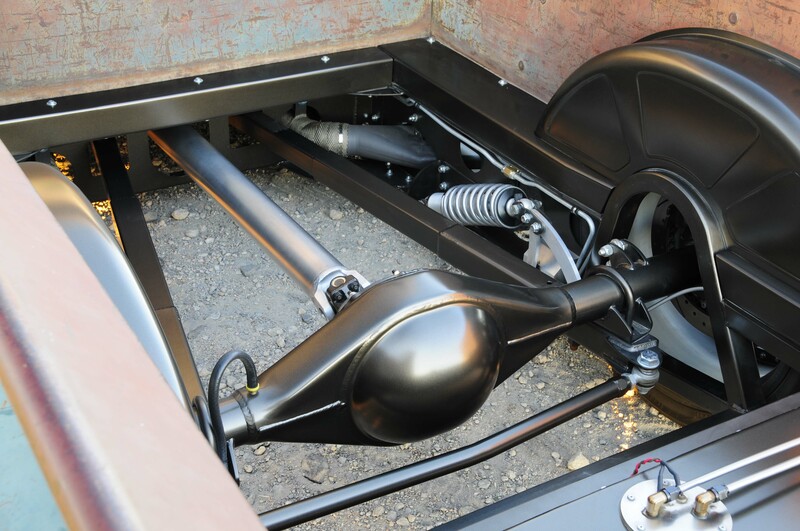 That combined with the low profile sticky Toyo R888 tires come together to produce a genuine performance oriented truck. 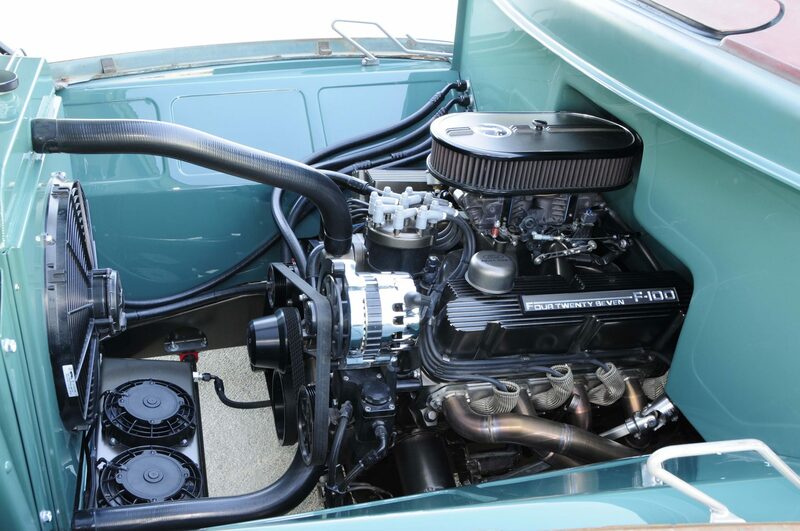 If you’d like to see a more detailed build sheet of everything that went into the creation of this restomod sleeper, check out the Hot Rod article here. That Currie rear end is built like a tank to handle whatever gets thrown at it. 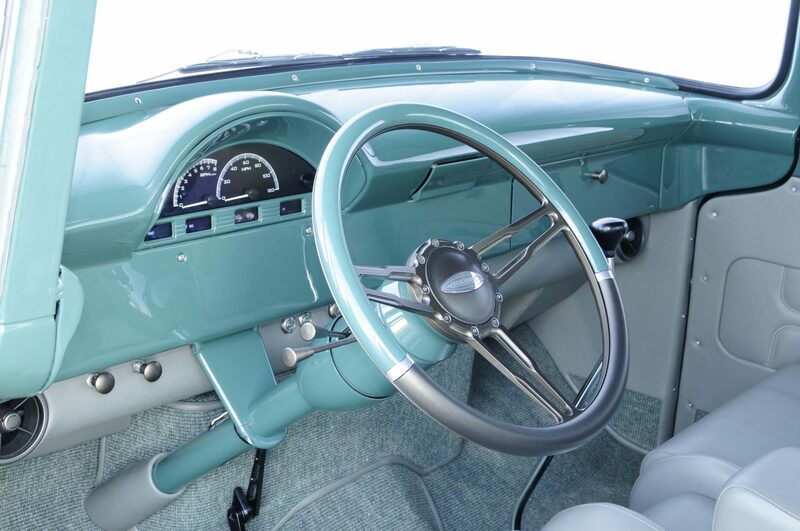 Immaculate interior that probably looks better than it did brand new. Exhaust tips coming out of the side step was a nice touch.